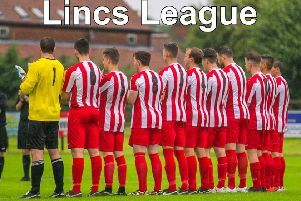 Skegness Town returned to the top of the Lincs League following a 5-0 win at Lincoln Moorlands Railway last night. Alex Nichols scored a hat-trick for the Lilywhites, while Will Britton bagged a brace, one from the spot. The result sees Town regain top spot at the expense of Hykeham, who now sit two points behind. Skegness also have two games in hand and a far superior goal difference. On Saturday Skegness travel to the Wong to face Horncastle Town in the Challenge Cup semi-finals.